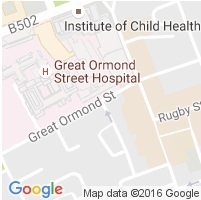 Great Ormond Street Hospital Laboratory Medicine provides a service which is led and supported by a range of clinical and technical experts. Please scroll down to find out about our clinical and technical leads or click on one of the links below to navigate directly to a department of interest. Simon obtained his PhD from Aston University in 1987 and was made a Fellow of the Royal College of Pathologists in 2003. As well as being Head of Service, he holds the UCL Chair of Clinical Chemistry and has a strong interest in the diagnosis and monitoring of patients with inherited metabolic disorders. This work is underpinned by a number of basic and translational research projects that are carried out in conjunction with the UCL Institute of Child Health. He has published over 150 papers in the area of mitochondrial, neurotransmitter and lysosomal disorders. Simon is also the Clinical Lead for the Neurometabolic Unit at the National Hospital, Queen Square (UCLH Foundation Trust). Christine is the Senior Laboratory Manager with operational responsibility for Blood Sciences, Blood Transfusion, Immunology, Cell Therapy and the Haematology Cellular and Molecular Diagnostic Service (HCMDS). Christine also serves as the Lead in Quality and Training for Laboratory Medicine. She has many years experience working in NHS pathology laboratories, commencing her career at the Regional Blood Transfusion Centre in Newcastle Upon Tyne then notably spening 25 years at the Royal London Hospital where she managed the automated Haematology Laboratory with additional responsibilities and special interest in Training and Point of Care Testing. Christine joined GOSH in 2007 as the Haematology Laboratory Manager. Christine holds a MSc in Haematology and is a Fellow and Chartered Scientist of theInstituteofBiomedical Science. Wisdom Musabaike is the Pathology Lead Quality Assurance and Risk Manager at Great Ormond Street Hospital NHS Trust. He is responsible for developing and maintaining safety, risk and quality governance systems across all disciplines in pathology. In this capacity, he has successfully led all Pathology laboratories towards gaining ISO15189 accreditation. Wisdom is actively involved in quality improvement work focusing on reducing paediatric sample rejections due to pre-analytical issues. He also tutors the BioMed Quality Systems Management module at the University of Greenwich. Wisdom has over 19 years of experience as an HCPC registered Biomedical Scientist. He was previously a Chief Biomedical Scientist at Barts Health NHS Trust. He holds BSc, MSc and MBA degrees. He is a Chartered Quality Professional (CQP), Member of Chartered Quality Institute (MCQI) and Member of the Institute of Biomedical Science (MIBMS). Helen Aitkenhead is a graduate of Aston University, Birmingham and University of Surrey, Guildford. Helen undertook her clinical scientist training at Charing Cross, St Mary's and Northwick Park Hospitals. Before coming to Great Ormond Street Hospital for Children, Helen worked as a Senior Clinical Scientist at Ealing Hospital. Helen has interests in all aspects of paediatric clinical biochemistry as well as point of care testing, quality management and clinical scientist training. Helen was appointed at GOSH in 2004 where she was Clinical Lead for the Special Routine and Automated Biochemistry. She was appointed as Head of Chemical Pathology and Director of Newborn Bloodspot Screening in 2015. Lucy is the Director of the Regional Genetics Laboratories and joint head of the Clinical Service. The Molecular Genetics Laboratory, along with Cytogenetics, forms the North East Thames Regional Genetics Laboratories. After graduating in Molecular Biology from Liverpool University Lucy undertook clinical scientist training and registration in the Yorkshire Regional DNA Laboratory, Leeds. After 8 years she moved to Great Ormond Street Hospital to take up the post of Deputy Head in Molecular Genetics, obtaining Fellowship of the Royal College of Pathologists in 2006. Lucy became Head of Service for Regional Molecular Genetics in 2009 and Interim Director of the Genetics Laboratory in 2014. Key interests include the genetics of hearing loss, surfactant protein deficiencies and non-invasive prenatal testing. Michael Ashworth completed his medical education at University College Dublin in 1980 and gained MRCPath in Liverpool in 1989. Michael took up his first consultant post in 1993 at Bristol Childrens Hospital before taking up the position of Consultant Paediatric Pathologist at Alder Hey Childrens Hospital in 2001. He joined GOSH in 2005. Michael was Secretary of the British Paediatric Pathology Association between 2004 and 2009 and Secretary UK Cardiac Pathology Network 2010. He was a Council Member of the Paediatric Pathology Society between 1999 and 2003 and Chair of the Standing Advisory Committee on Paediatric and Perinatal Pathology of the Royal College of Pathologists, UK from 2007 to 2011. He is also an examiner in paediatric pathology for the Royal College of Pathologists. Michael's main areas of interest include heart disease in children, pulmonary disease and paediatric gastrointestinal disease producing publications in all these areas. Michael also holds a diploma in the History of Medicine of the Society of Apothecaries. Dr Tom Jacques runs a research group at the UCL Institute of Child Health focussing on brain tumours and paediatric epilepsy and provides the diagnostic neuropathology service for GOSH. He has held a Clinician Scientist Award for the past 6 years and have recently been awarded a nationally competitive HEFCE Clinical Senior Lectureship. Tom's research focuses on the role of stem cells in the development of paediatric brain disease. Specifically, he have recently shown that the major types of brain tumour can arise from stem cells and that the type of tumour is determined by the initiating genetic mutation (Jacqueset al.EMBO J 2010;29:222-35). Tom has also isolated a pathological stem cell from a malformation of cortical development in children with severe epilepsy (Yasinet al.Acta Neuropathologica 2010;120:85-96). Ashirwad (Ash) joined the department in September 2018. He undertook his Neuropathology and Histopathology post graduate training in London, under the NIHR integrated academic scheme. He attained his FRCPath from The Royal College of Pathologists in 2016 and CCT in Neuropathology in 2018. He holds a Diploma in Legal Medicine from the faculty of Forensic and Legal Medicine, The Royal College of Physicians. As an MRC Clinical Research Fellow he has undertaken research on molecular biology of paediatric brain tumour, medulloblastoma, completing PhD from Queen Mary, University of London in 2014. His current research interest is in brain tumours, with growing interest in neuromuscular disorders/skeletal muscle pathology. Ash is also an Honorary Consultant at the National Hospital for Neurology and Neurosurgery (UCLH), Queen Square. Professor Neil Sebire is Professor of Paediatric and Developmental Pathology at ICH/UCL and Consultant Paediatric Pathologist at GOSH. Having initially trained in Obstetrics and Fetal Medicine, he trained in diagnostic pathology and now has research interests in placental pathology, paediatric tumour diagnosis and investigation of infant deaths. Liina Palm completed her medical education at Tartu University, Estonia, in 1992 with a medical degree equivalent to MB BS (Hons) and undertook her training in general Histopathology at Tartu University Clinics and North-Estonian Regional Hospital, Tallinn, between 1992 and 1996. Liina gained her paediatric and perinatal training through apprenticeships at several hospitals in different countries, including Germany, Sweden and the Unites States. She was a pioneer in paediatric pathology in Estonia, by promoting it as a separate subspecialty of pathology and by setting up a network of paediatric and perinatal pathology at the main teaching hospitals of the country. In 2004 Liina moved to the UK where she took up a post of a full time Consultant Paediatric and Perinatal Pathologist at Barts and The London NHS Trust and worked there until 2011. In January 2012 she took up the position of Consultant Paediatric Pathologist at Great Ormond Street Hospital. In 2010 she gained FRCPath by nomination. She is a member of BRIPPA and a member of the committee of the Pediatric Pathology Society. Liina has a wide experience in perinatal and paediatric autopsy pathology, including specialist autopsy work for HM Coroners and for the Metropolitan Police. She is the Clinical Lead for the Mortuary Service at GOSH. Her main area of interest is sudden unexpected infant death (SUDI) and related issues. Dr Samantha Levine is the Clinical Lead for Histopathology. She initially trained in psychiatry in the USA, and retrained in diagnostic pathology in the UK. She has worked as a Consultant Paediatric and Perinatal Consultant at St George's and St Thomas' hospitals in London before moving to GOSH in 2016. Special interests include placental and gastrointestinal pathology and the perinatal autopsy service. Glenn Anderson provides an ultrastructural diagnostic service to GOSH and other institutions in the UK and abroad. Electron microscopy is of value in the diagnosis of renal, neuromuscular and lysosomal storage disorders as well as other rare paediatric diseases. Glenn also has a particular interest in metabolic disorders including the neuronal ceroid lipofuscinoses and leads one of the few units in Europe to provide a prenatal diagnostic service for these conditions. Glenn actively collaborates with clinical and scientific colleagues in research projects on a variety of topics, where ultrastructural morphology may aid understanding of disease processes and etiology. Kimberly Gilmour received her BSc from Duke University (USA) and her PhD from the State University of New York at Stony Brook (USA). She then completed a research fellowship studying T cell development at Cancer Research UK. She was appointed in 1999 to translate her PhD thesis research (STAT signaling) into clinical diagnostics. Since then she has developed and introduced a number of robust tests for diagnosing primary immune deficiency (PID). She has collaborated with the Molecular genetics service to introduce high throughput sequencing to diagnosing PID. She is also involved with a number of gene and cell therapy trials. She holds several research grants focused on developing and introducing novel diagnostics and monitoring for PID. Kimberly has published over 60 papers and received her FRCPath by publications in 2012. In her current role, she is Consultant Clinical Scientist and Clinical Lead for the Immunology laboratory (which in conjunction with NE Thames regional genetics provides a nationally funded and recognized service for primary immune deficiency) and Director of Cellular Therapy. Garth Dixon is expert Paediatric Microbiologist and currently Lead Clinician for the Department of Microbiology, Virology and Infection Prevention and Control. He has been a consultant at GOHS for five years. Garth has a special interest in using the latest molecular techniques, including whole genome sequencing, to better define how certain bacteria are able to cause more severe disease than others. Garth maintains a research interests in pathogenesis of Meningococcal disease, specifically, designing novel vaccines to help prevent the disease and also investigating how the bacterium induces damage to the blood vessel walls in severe forms of the disease. James Soothill has been a consultant Microbiologist at GOSH for over ten years. He is responsible for the development of antibiotic policy and surveillance of infections of central venous catheters. His interests include the prevention of central venous catheter infection as well as the development for novel methods for the detection and control of infection by antibiotic resistant bacteria.